Hats off to Reading!!! Happy Birthday Dr. Seuss!!! Read, Read, and Read Some More!!! If you do, then you will want to celebrate Read Across America this month by recognizing Theodore Geisel, also known as the famous Dr. Seuss! Why celebrate Dr. Seuss? Why celebrate books? Why celebrate reading? If you are asking these questions or thinking about the importance of language and literacy in young children’s development then keep reading! According to a report from Becoming a Nation of Readers, published in 1988, “Parents are their children’s first and most important teachers. Children begin learning to read at an early age, when parents first use words and images to describe the world. Therefore, the BEST way for parents to help their children become better readers is to read to them and talk with them! Children naturally learn to speak by following your example. They also learn a great deal about reading BEFORE they ever set foot in a school setting. Learning to read begins when you talk to and with your children. Listen to them and respond to them, especially when you read aloud and they experience the wonder and joy of the world of books. The language experiences that children obtain before they start school help them to form strong brain connections that help support reading, understanding and thinking. Connecting language and vocabulary to the world they know allows children to explore new ideas that build the foundation for reading. Copy the sounds your baby makes and don’t be afraid to use baby talk. Make sure your voice rises and falls and repeat and emphasize words. Talk with your child everyday about everything in their world. 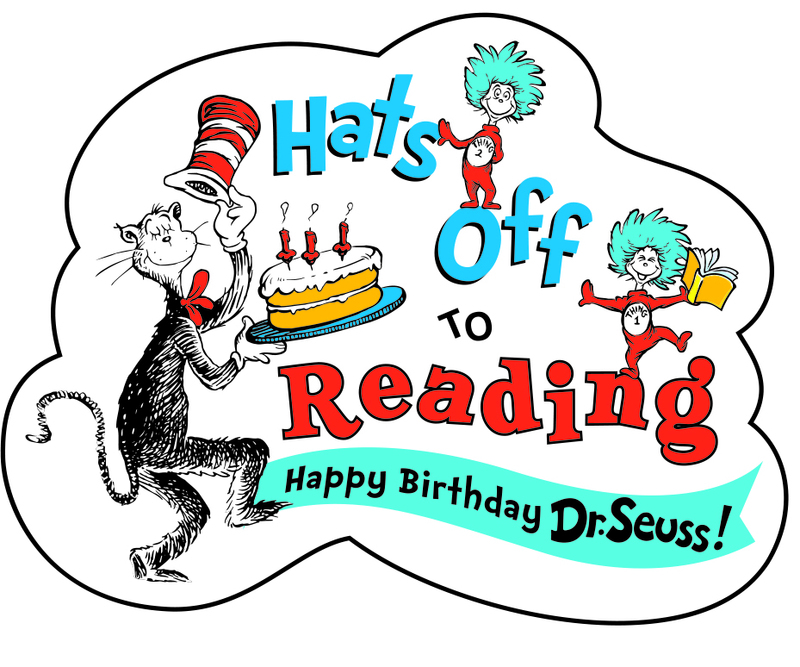 Read rhyming books like The Cat In The Hat! Previous Previous post: Is Dinner Time a Struggle with Your Kids?